Enjoy the "big blue" at Plaza Resort, the 5* hotel in Athens’ most exclusive area, where leisure and business mingle successfully. 133 spacious quests rooms and suites. Outstanding Mediterranean cuisine at the "Blue" ; all day dining in the fashionable "Ivory" ; a freddo cappuccino or cocktails at the "Au Bar" lounge with a magnificent view to the sea or a cold beer or Campari at the "Ocean Bar" next to the pool and the beach. 940 square meters (10,100 square feet) of exceptional meeting and functions venue, hosting 10 to 600 persons. If you need to access your room before check in time, we suggest you include the prior night’s stay in your reservation. If you are planning to depart late, we cannot guarantee your room after 12:00 pm, however, you may store your belongings (at the concierge area) and use our facilities to freshen up. 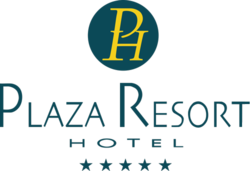 At the Plaza Resort Hotel, a guaranteed reservation assures room availability even if you check in late (after 6:00 pm). All reservations made through the web site must be guaranteed by major credit card. Certain arrival dates and rates may require a deposit. Please check for full deposit requirements at time of booking.